Scania power offered on full range of Striker vehicles and H-Series single engine blower unit. OSHKOSH, WIS. (March 30, 2017) – Oshkosh Airport Products LLC, an Oshkosh Corporation (NYSE: OSK) company, is offering Scania brand engines as an option on a wider selection of its aircraft rescue and firefighting (ARFF) and snow removal vehicles. 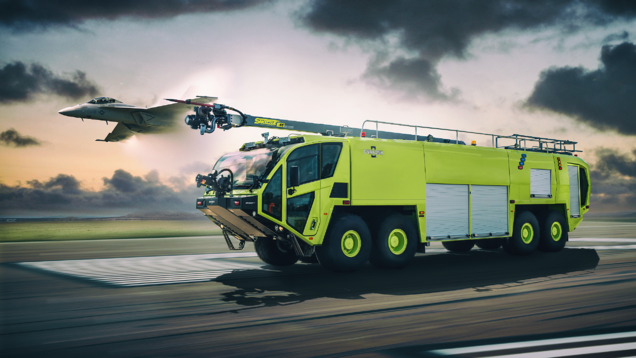 The entire lineup of Oshkosh® Striker® ARFF apparatus, as well as the new Oshkosh H-Series™ Single Engine Blower (SEB) snow removal vehicle, can now be specified with Scania engines. Scania is a leading provider of low emission engines that meet Stage V and Tier 4 Final standards through selective catalytic reduction (SCR) and without requiring diesel particulate filters. Additionally, Scania’s engines meet all current emission legislation worldwide. The all-new Oshkosh Striker 8 X 8, for example, is powered by a pair of rear-mounted Scania low emission engines generating up to 1,540 total hp, making it the most powerful and capable ARFF vehicle in the company’s history. The Oshkosh Striker 8 X 8 vehicle will make its world debut at the 2017 Fire Department Instructors Conference in Indianapolis, Ind. on April 27-29. Photo caption: Oshkosh Airport Products is offering Scania brand engines as an option on a wider selection of its aircraft rescue and firefighting (ARFF) and snow removal vehicles. The entire lineup of Oshkosh® Striker® ARFF apparatus, as well as the new Oshkosh H-Series™ Single Engine Blower (SEB) snow removal vehicle, can now be specified with Scania engines. Scania is one of the world’s leading manufacturers of trucks and buses for heavy transport applications. Scania is also leading provider of industrial and marine engines. Service-related products account for a growing proportion of the company’s operations, assuring Scania customers of cost-effective transport solutions and maximum uptime. Employing some 44,000 people, the company operates in about 100 countries. Research and development activities are concentrated in Sweden, while production takes place in Europe and South America, with facilities for global interchange of both components and complete vehicles. Oshkosh Airport Products LLC, an Oshkosh Corporation (NYSE: OSK) company, is a designer and builder of industry-leading airport firefighting and snow removal vehicles. 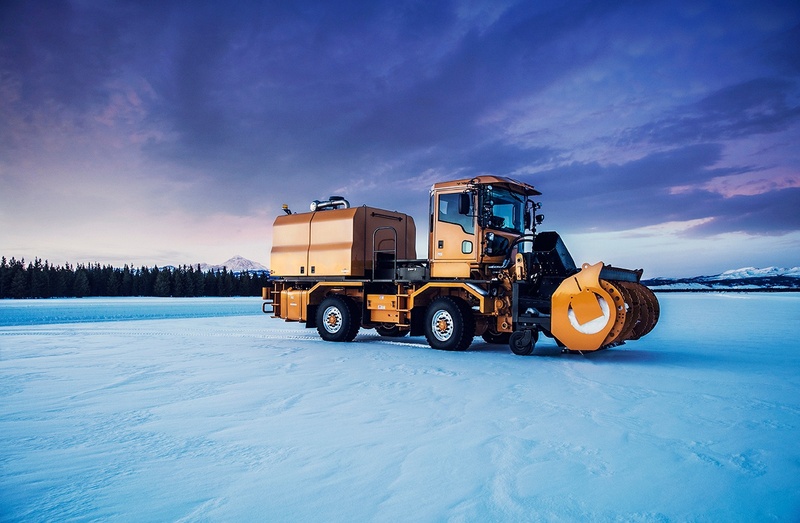 Its flagship Striker® Aircraft Rescue and Fire Fighting (ARFF) vehicle and Oshkosh® H-Series™ snow removal chassis are known for their durability and superior performance and sold throughout the world. For more information, visit www.oshkoshairport.com.